Access the best technology for your business. 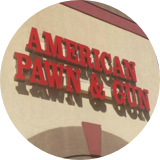 Bravo’s software is fast, intuitive and designed for the modern pawnshop. It’s easy for your team to use and works across on any PC with popular hardware. 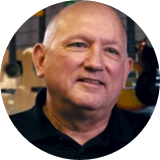 Bravo’s best-in-class product and features with powerful reporting insights help you make smarter, more profitable decisions, whether you have one shop or fifty. 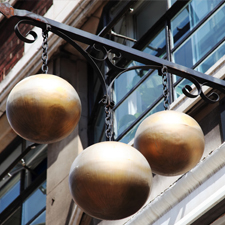 Bravo is helping pawnbrokers evolve from old school to new school. Bravo is easy to use and easy to maintain. 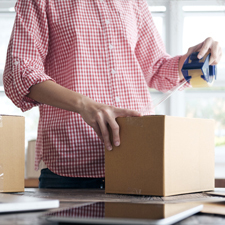 I’m impressed by the ease of bringing an item in, following it through the loan cycle, and pushing it online to eBay or my company-branded site. Customers want digital convenience. 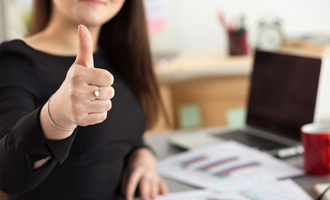 You may not realize it, but convenience is an extremely important part of loans, sales, marketing and customer loyalty. 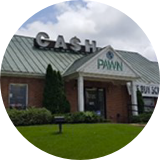 The “convenience quotient” is how a lot of customers evaluate whether or not they want to do business with your pawnshop. 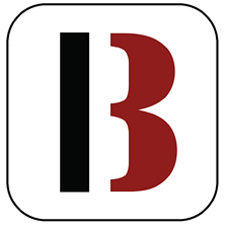 Providing your customers a mobile app. to make payments will decrease their default rate. Allowing them to shop will increase their sales. Notifying them of a promotion or loan coming due will strengthen their loyalty. 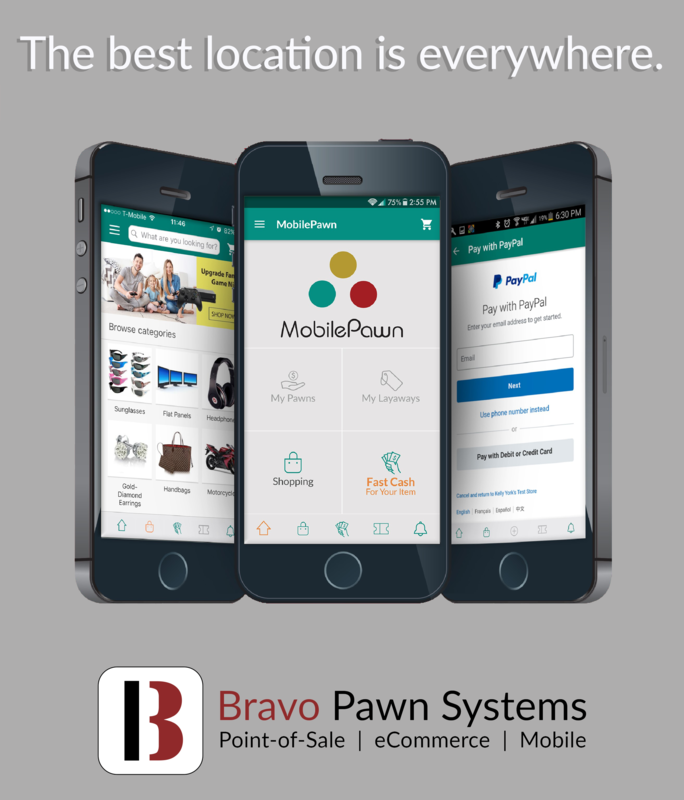 MobilePawn is more than a payment portal. It’s your best chance to capture millennials. Break free from the loan counter, back room or office. 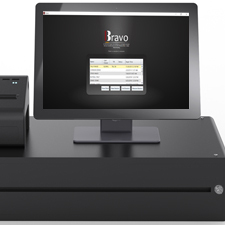 Bravo is cloud-based point of sale software, so you can sign in and work from anywhere. Easily access your dashboard, sales, and reports, and always have the latest data. 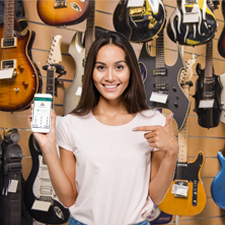 Modern business is online, in-store and mobile, so get the point of sale system that takes you where you need to go. Issues are not only addressed, but resolved. 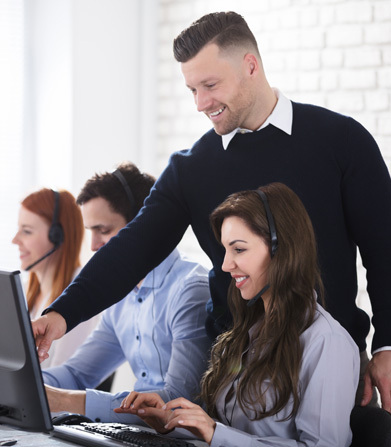 Bravo is constantly developing and updating the software based on customer feedback. It’s exceptional! Bravo is here to help you succeed. Our founders and CEO come from pawn backgrounds, so they appreciate the daily challenges you face. Our growing team is ready to help in your timezone with major support hubs on the West and East coast. Try our product for free- and see how it can change your business. We are more than happy to talk with you.